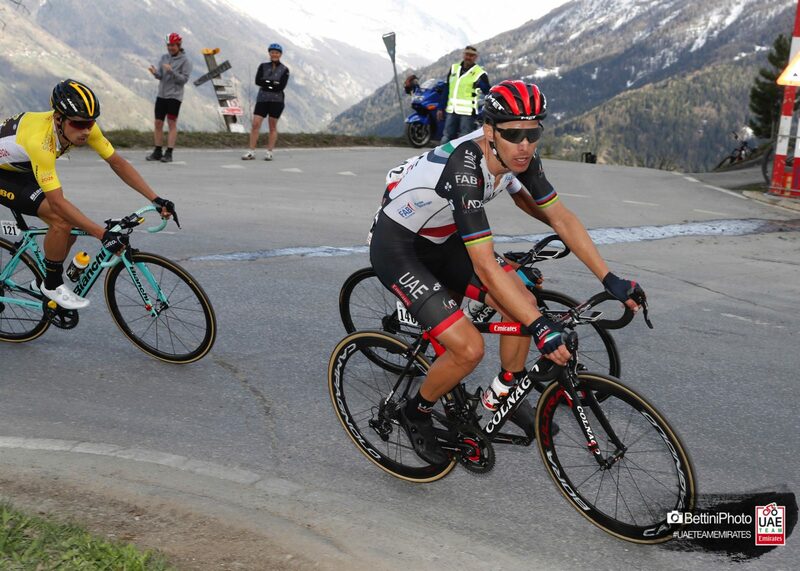 UAE Team Emirates’s Rui Costa showed his top condition in the queen stage of the Tour de Romandie today. The 2013 world champion was part of the quintet with the top three in the overall Primoz Roglic, Egan Bernal and Richie Porte, along with eventual stage winner Jakob Fuglsang (Astana). On the descent the finish line in Sion, Fuglsang surprised the group with an attack and took fourth place in the classification ahead of Rui Costa now in fifth overall. Costa tried to close the gap or at least take second or third place for the bonus seconds, but could not. “We knew that Team Sky would make a hard race for Bernal today,” said Costa. “It was a strung out stage and on the last climb, both the Colombian and Roglic were making a difference. I held tight because besides the classification, I wanted to go for the stage win. The race closes tomorrow with a short stage, the fifth from Mont-sur-Rolle to Geneva over 181.8km and climbing 1581. The stage should produce a nervous race but likely not any changes in the overall classification.